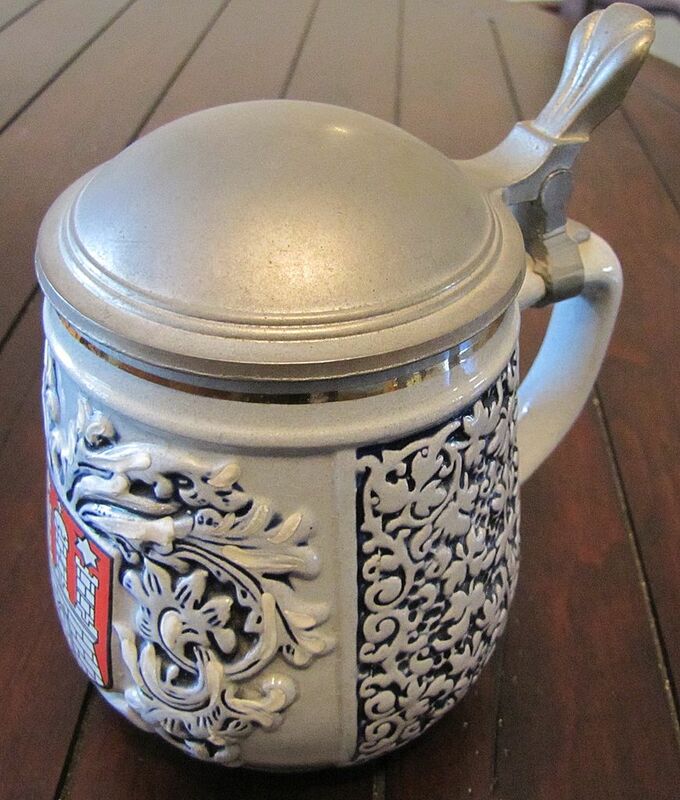 Beautifully carved vintage stein with Hamburg crest in red on front.The stein has a 5 ringed pewter domed lid. 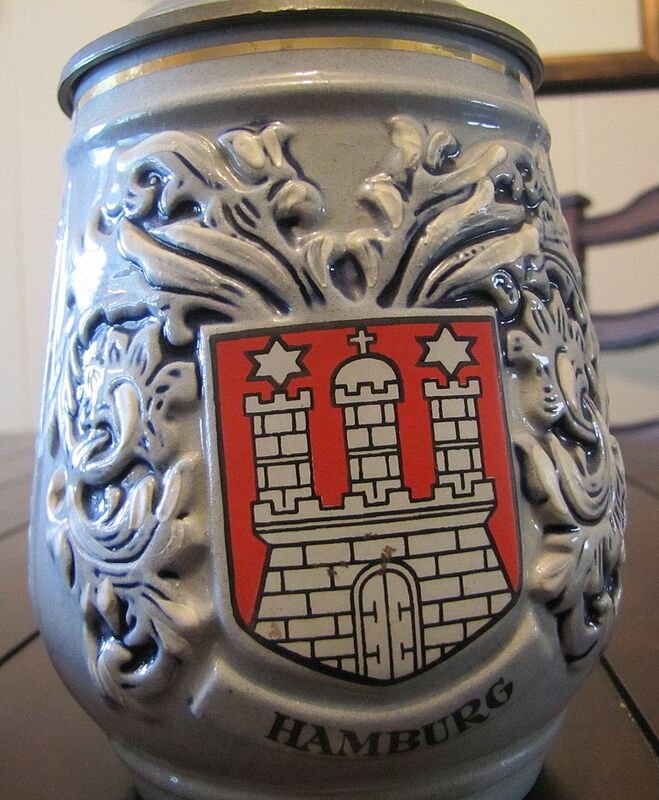 There are many sculpted, floral designs around the entire stein. 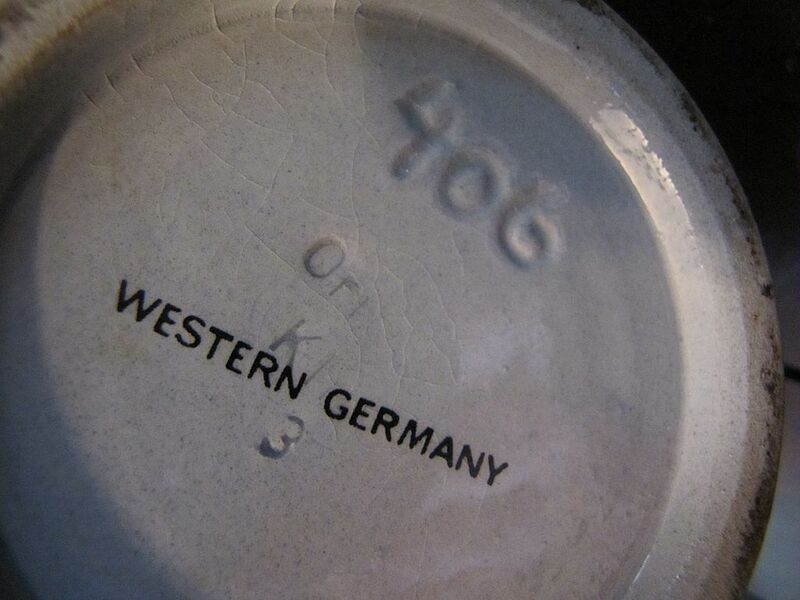 It also has a gold leafed painted band around the top.The bottom is stamped Western Germany with 406 inscribed into it, along with othermarking inscribed which appear to be Ori Ki 3. 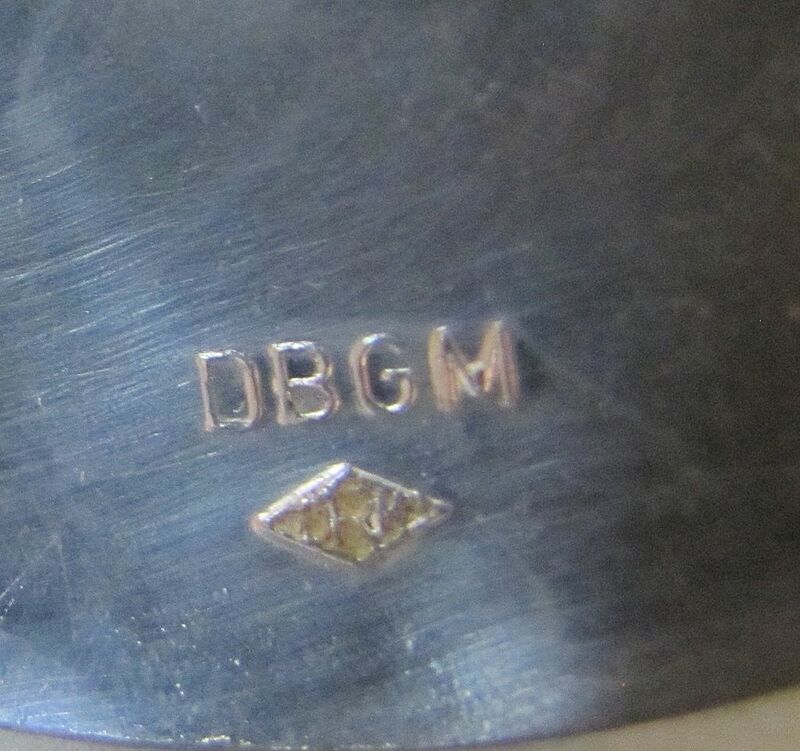 The lid is marked DBGM with a symbolmark and 85. 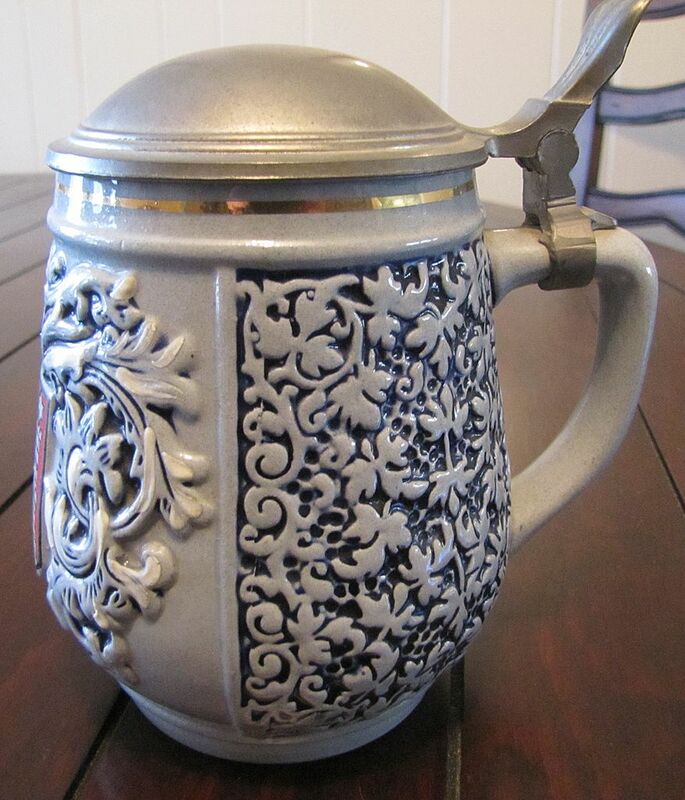 It measures about 6" high and is about 4 1/2" across the bulbous area.It is in good condition.